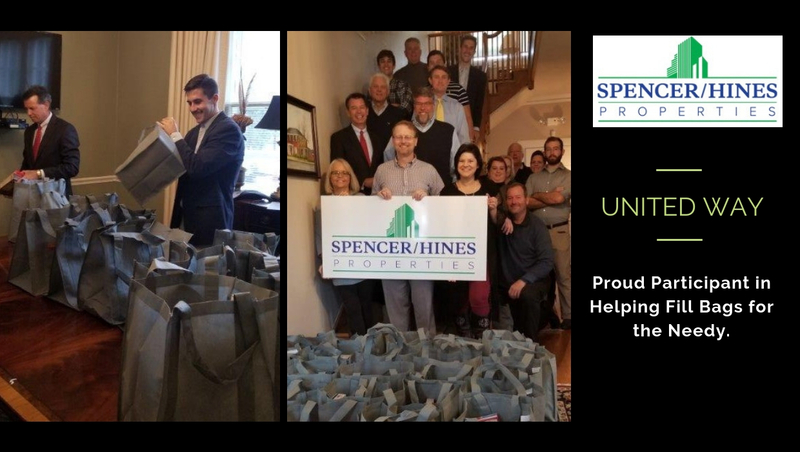 Spencer Hines Properties participated with The United Way in helping fill bags for the needy. All of Spencer Hines agents and staff participated. We filled 50 bags with food for them to distribute. Carly Burns and Maria Madden with The United Way came to our office today to explain what The United Way does for families in our area. Every $1.00 that is donated to The United Way equals $7.90 return on investment. The economic impact is $39.5 million. They have many Resources and Opportunities to help our Spartanburg County and City Residents. For more information visit The United Way.